Attorney Lucas Beecher represented Benjamin Johnson, a fugitive slave who arrived in Sandusky during the 1830’s. Beecher won Johnson’s freedom by arguing that Johnson was not the property of the plaintiff because the purchase was made in Ohio, which was a free state. Johnson then became a free resident of Sandusky. Beecher also represented Grant Ritchie, a Black barber in Sandusky, who actively participated as a “conductor” on the Underground Railroad. When slave owners brought charges against Ritchie for helping slaves escape, he of course pled “not guilty.” Beecher then proceeded to ask Ritchie why he was in the courtroom and suggested that Ritchie was there to give shaves to the men present in the courtroom, asking, Then why are you here? Have you come to shave the court? Ritchie replied that he did not have his shaving kit with him, so Beecher told him to go and get it. Ritchie left the courtroom and fled to Canada. Needless to say, the case was dropped! Sanduskian unlikely war hero BY ROBERT F. LANG JR. The Beecher House, which is on the National Register of Historic Places, remained in the family until it was sold by their heirs in 1900. Since then, the Beecher House has been sold several times and has had many occupants. Over the years, the house has been home to the Central Union Telephone Company, the Christian Science Reading Room, Irma Waldkircher’s Ladies Apparel, a physician and a civil engineering firm. The American Legion Post No. 83 called the Beecher House home from 1932 until approximately 1977. Today the Beecher House is home to four partnered businesses, Structured Investment Advisor, LLC, Morgan Benefits Services, LLC Prism Financial Group, LTD and Family Legacy Planning, LLC. 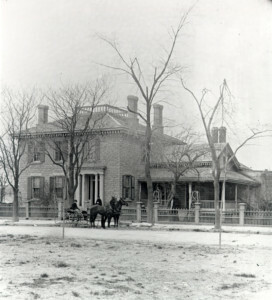 The Beecher House still stands today, looking much as it did 165 years ago. It is a testament to Lucas S. Beecher, a good man who did great things. It served not only as the Beecher family home, but one of the last stops on the Underground Railroad. “So you are the little woman who wrote the book that started this Great War.” This quote is attributed to Abraham Lincoln as he greeted Harriet Beecher Stowe in the White House on Nov. 25, 1862. By the time President Lincoln personally met Stowe, her 1852 bestselling novel, “Uncle Tom’s Cabin,” had long been a bestseller in America, Britain, Europe and Asia. Stowe had achieved international fame and success. When she wrote or spoke, people listened. “Uncle Tom’s Cabin” was the “Harry Potter” of its time. The difference is Stowe’s work is a fictional account based on facts and documentation. For the most part, “Uncle Tom’s Cabin” is a true story in which the names were changed to protect the innocent. Stowe put a face on slavery. More to the point, her story inspired a movement and a path to freedom; a series of secret routes and safe houses that stretched from the Deep South to the Canadian border. Stations, as they were called, were family homes and farms by day. Under the cover of darkness, they became safe houses. The Underground Railroad was a subject unknown to most, but as controversial as it was secret. For its time, it was extremely organized and sophisticated. The people who ran it were smart and ingenious and highly respected professional businessmen and women. In fact, they had the most to lose if they were discovered. Most of all, the Underground Railroad was dangerous. Participation required nerves of steel, determination and unwavering dedication. After attending a slave auction in Kentucky and interviewing slaves who success fully used the Underground Railroad, Stowe wrote “Uncle Tom’s Cabin” from her home in Maine. The north shore along Ohio is an important stop detailed in book, with Sandusky specifically mentioned on several occasions. Stowe didn’t name real names for obvious reasons, although if she had, her third cousin, Sandusky resident and attorney Lucas S. Beecher’s name would likely have appeared often. Lucas Selkirk Beecher had a beautiful home and office directly across the square from the Erie County Courthouse, two blocks from the Lake Erie shore. By day, Beecher’s home and office served clients in need of legal advice. By night it was a safe house, the last station on the road to freedom just across Lake Erie. Stowe wrote “Uncle Tom’s Cabin,” but her cousin actually lived the dangerous double-life she wrote about. Lucas Beecher’s notoriety and achievements didn’t begin or end with his participation in the Underground Railroad. His legacy began long beforehand and continued long after the Civil War. One of the earliest members of the Erie County Bar, Lucas Beecher was born in New Haven, Conn., on March 31, 1798, to parents Linus and Orpha Beecher. He was one of nine children and a seventh-generation member of one of America’s earliest families. First-generation John Beecher arrived in America 160 years earlier, in 1637. Lucas likely enjoyed a good childhood until fate intervened and he lost one of his legs at age 13. 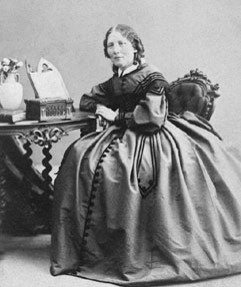 At approximately the same time he lost his leg, his cousin, Harriet Beecher Stowe, was born in 1811 to Lyman and Roxanne Beecher, 50 miles away in Litchfield, Conn. In 1816, Lucas Beecher’s family moved to West Bergen, N.Y. After finishing school, Lucas became a teacher for a short time, saving his money for law school. He eventually became a law student for the office of Hopkins & Beecher in Canaseraga, N.Y. 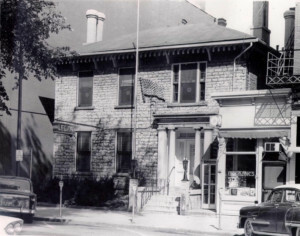 In 1824 at the age of 26, Lucas Beecher passed the bar and opened his own practice in Williamsport, Pa. Two years later in 1826, Lucas married Jane Walker Turk. If having only one leg was a detriment, it seems no one told Lucas Beecher. In 1828, Lucas and Jane Beecher moved to Sandusky with their newborn baby Malcolm Beecher. Lucas became partners with Sandusky’s very first attorney, Eleutheros Cooke. Cooke was a highly regarded attorney and politician, serving three terms in the U.S. House of Representatives. In spite of his good fortune to partner with Mr. Cooke, fate was about to deal Lucas Beecher another challenging hand. Beecher’s eyesight was quickly eroding, as was his pocketbook. By 1830 he had become totally blind. Beecher made a pivotal decision that would prove to be the turning point in his life. Leaving his wife and young son in Sandusky, he boarded a stagecoach for New York City for the purpose of having eye surgery. After a long and arduous journey, Beecher arrived in New York. He departed the stage with his bags, crippled, blind and alone with barely enough money to pay for his surgery. His destination was a considerable distance across town. Not having enough money to hire transportation, the only person willing to accept Lucas’ meager offer was a poor black man. The black man wheeled the baggage on a cart while Lucas limped behind holding onto the black man’s coattails. Tired and weary, Lucas broke down half-laughing, half-crying, almost too despondent to go on. In the end, the black man delivered Lucas and his bags to his destination. The surgery was only partly successful. After months of painful recuperation, Lucas arrived back in Sandusky. He could only read and write a little, but it was enough for him to resume his practice. He formed a new partnership with attorney John Campbell. His association with Mr. Campbell was short lived as Campbell was of ill health and was forced to quit his practice. Not so for Lucas Beecher who pressed on and thrived. Beecher’s practice grew as well as his stellar reputation for being a fine litigator and a gentleman. 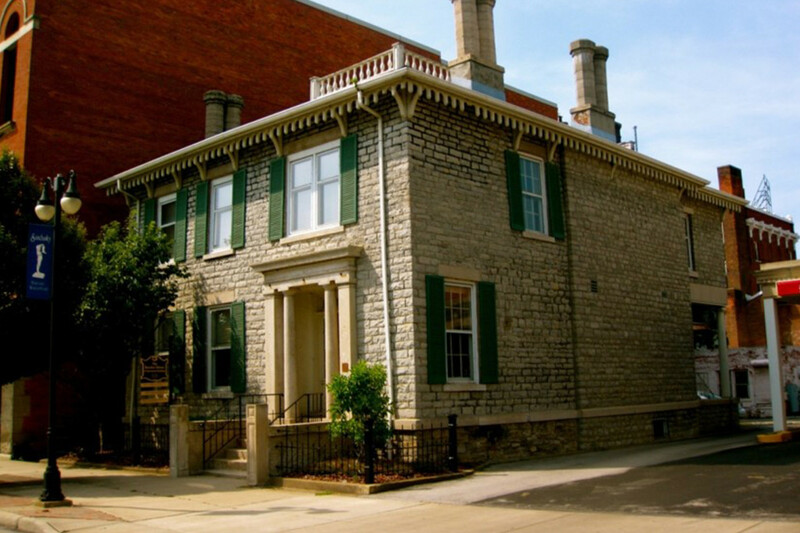 In 1847 Lucas built the Beecher House on 215 Washington Row. The house was close to the court house. It was also close to Lake Erie. Congress passed “The Fugitive Slave Law” in 1850. The law gave slave catchers more authority and granted them immunity in the free states, while pursuing their quarry. The country was torn over the slavery issue. In the north, slavery was still just something to read about in the newspapers. That was until Harriet Beecher Stowe published her novel “Uncle Tom’s Cabin,” in 1852. Antislavery sentiments were beginning to boil. It was only a matter of time before this issue would come to a head and eventually divide the nation. In 1853, Lucas Beecher formed a partnership with attorneys Cuyler Leonard and Pitt Cooke, older brother of famous financier Jay Cooke. Pitt and Jay were the sons of Eleutheros Cooke, Lucas Beecher’s very first law partner in Sandusky. Pitt Cooke was a local success story, but it was Jay Cooke who went on to national notoriety after successfully financing the Union war effort during the Civil War. Beecher would be the senior partner of this firm right up until his death almost 30 years later. The Underground Railroad was operating at its peak between 1850 and 1860. While thousands escaped into Canada, some were unfortunately caught. In one documented case, Lucas Beecher pushed the envelope by actually representing a slave in court. Ben Johnson had been captured on the Underground Railroad. His owner, who was represented by Sandusky attorney Francis Drake Parish (who heretofore was considered a leading abolitionist in Ohio) claimed his client had paperwork whereby he purchased Ben Johnson from his previous owner and was now Ben’s legal owner. The paper work was signed, dated and executed in Ohio. Beecher successfully argued that an Ohio ordinance passed in 1787 “prohibited involuntary servitude.” The judge agreed. Ben Johnson was a free man. Johnson didn’t finish his journey to Canada. He eventually died a free man in Sandusky. Most historians agree, Harriet Beecher Stowe lit the fuse that helped ignite the Civil War when she wrote “Uncle Tom’s Cabin.” Most people though, are unaware of Lucas Beecher’s integral role in this history. Although Lucas Beecher never wore a uniform, his contributions leading up to the Civil War make him not only an unlikely, but unsung hero. Lucas Beecher and his wife Jane both passed away in 1882.